$0.00 On Sale: $15.99 ea. $15.99 ea. Email your friend about the Shock Doctor Braces Mouthguard. 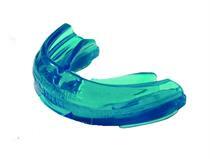 Ask a question about the Shock Doctor Braces Mouthguard.